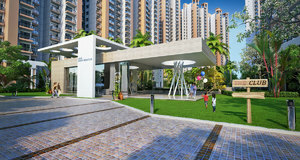 Raise your standard of living and Let your family live in a lush green surrounding with Gaur Sportswood Noida in a posh location at Sector-79, Noida. This meticulously designed residency has 3 BHK apartments available in the size of 1690 Sq. Ft. that too with starting price of just Rs. 85.9 Lac*.